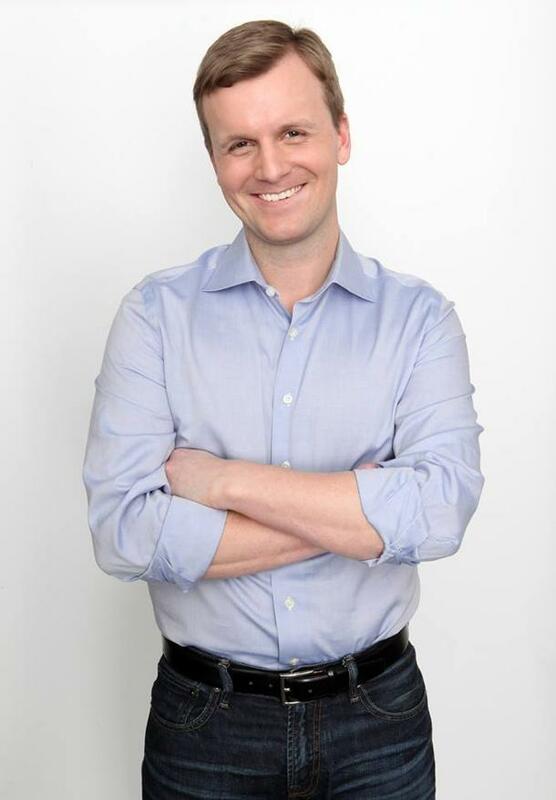 If Joe Cressy has his way, he's going to join the under-30 club of the New Democrats on Parliament Hill. But unlike some of the other NDP millennials, Cressey — who is running for nomination for the NDP in Trinity Spadina — has a got a pretty impressive resume. Cressy was a senior advisor and Director of Campaigns for the Stephen Lewis Foundation where he worked with HIV and AIDS organizations in Africa. He was an activist locally as a campaigns coordinator for the Polaris Institute where he led the push for cities like Toronto to ban bottled water in municipal buildings. He's also got politics in his genes: both his parents were city councillors in Toronto in the late-seventies and eighties. Moreover, he was a protege of Jack Layton and Olivia Chow and was going to be the latter's deputy campaign manager for her mayoral run prior to his decision to run federally. Yahoo Canada News interviewed Cressy late last week. The reason I'm doing it at the end of the day was a clear one to me. At our core, we need to build on Olivia's legacy here in my community. It's a legacy where she's been a tireless, effective and principled local representative. And I'm running to build on that legacy by standing up for downtown Toronto. I'm running to be a new champion of downtown Toronto. The issue that I think is front and centre for me is the need for a progressive vision for cities. Cities are where the rubber hits the roads in Canada. We have 80 per cent of Canadians [that] now live and receive their services in cities. Meanwhile, we're the only country in the OECD without a national transit strategy. We're the only country in the G-8 without a national housing strategy. We have a $171 billion infrastructure deficit that our cities are crumbling under and no serious and permanent plan to deal with it from the federal government. And we have childcare that is under-funded across the country and a federal government that is absent. So to me, cities are where people live work and play. And they're also the drivers of our national economy. And at the federal level, in downtown Toronto, we need someone that's going to stand up for cities. My mother was a city councillor for two terms in the eighties. She was elected in 1982, the same year Jack Layton was elected. They actually grew up together in Hudson Quebec. As a kid, got to know Mike [Layton] and Jack and Olivia...because my parents were also involved in progressive projects. So I saw them as a child running around the rotunda at city hall. But I didn't really get to know Jack...until 2002. At the time, I was a piece activist, I was a youth leader in a movement opposing the war in Iraq. I met him an anti-war rally. So, I met him...and he asked me to join him on his project to build a better country. And that project, over the past 12 years, has been a major part of my life ever since. They were political mentors of mine. And what I learned from them is it's about at all times rooting our work in the issues. Never straying at all from our core principles and values. And they taught me how to get out and organize. On whether it was poverty, the environment, literacy programs for first nations communities, they taught me how to organize -- how to build a coalition of like-minded people, how to generate the interest and publicity. Beyond politics, from Jack in particular, he taught me we must always strive to find joy in whatever we're doing. So whether it's in politics, in family or with our peers that there are tough times but we must strive to find and seek out the joy because life is fragile and precious. It was only eight years ago, I was in university. My experience is that young people care deeply about issues. It's not so much whether is it left or is it right, it's not so much as what's the ideology behind it, it's the issues that matter. And those issues that young people care about, I think unfortunately are being ignored by the federal government and in fact by consecutive Liberal and Conservative governments. To me it's about focusing on the issues but it's more than that. We need to turn young people back on to politics. We need to make them believe that politics can be a means to create change for our lives -- for their lives. And part of that focusing on the issues. It's also about electoral reform -- our first-past-the-post system treats a lot of votes in a manner that they don't even count. We desperately need proportional representation. It seems to me, that the Liberal leaders commitment to open nominations is in words only, not in actions. That the alleged conflict here that a candidate would be barred from running because of the actions of her husband is something we'd hear more in the 1950's than in 2014. And I have to tell you, I think the residents of Trinity Spadina deserve an MP who will stand up and fight for them, not a political party that is more interested in fighting among themselves. There has been no date set for either the NDP nomination or the Trinity Spadina byelection.